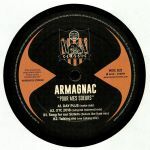 Discos en vinilo y CD de Wax Classic France. 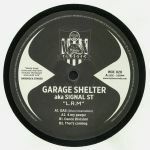 Review: Garage Shelter AKA Signal St returns to Wax Classic with four raw, grainy ageless house cuts. "Gas" lights the fire with shimmering dubby pads and a chugging, unrelenting warehouse jack pumping unfailingly beneath the atmospheres, "4 My Peepz" continues the oceanic chords and robust beats but with an edge that owes as much to Paris as it does Chicago and "Dance Division" strips things right back to a lavish electroid synth bass that fluctuates and rises with powerful Black Strobe-style allure. Finally we're sent off packing with a beautiful deep dream chugger "That's Coming" where Claussellian chords sooth but the rolling drums persistently strut.